This is a brief history of my experience with Eniva's Vibe from May of 2006 until 2012 when I decided to stop using the product. First I want to give a short intro that got me started with Vibe and my expectations with the product. A guy I didn't know contacted me to try Vibe saying it was an amazing product that is helping people feel great. I thought I was doing ok but was currently taking tablet supplements that didn't sit well. Since this was a liquid and he was going to send it to me for free, I gave it a try. If a product is good quality and delivers results, there is a chance I will give it a try. I've tried many products to see what kind of results can be obtained. Today I look for a product that has no synthetic vitamins or minerals (pharmacuetical drugs). If you are reading this to learn about Vibe and whether to try it, you may have to do the same to see if it is for you especially since I haven't used it since 2012. I had my first major health breakthrough when I started using this product in 2006. It was amazing and I was a completely different person. I heard so many stories and some amazing health breakthroughs from other people that were using it. The product was introduced to me that it would create this result and that is why I was using it. After some time, it seemed Eniva changed Vibe because some people started saying the product wasn't working for them like it was. I was still getting some results though so I continued using it. Around October of 2006, Eniva came out with Vibe 2.0 and I used this product for a while but I didn't see the results like I did with the original product. I heard from team leaders and from my sponsor that people weren't seeing the same results with 2.0 and they were losing customers. There also were customers just fine with using the 2.0 version. So, Eniva brought back the "original" Vibe and called it Vibe Original. We thought this was supposed to be the very first product they came out with but I didn't believe it was because it didn't deliver the same results. I think it may have been the product that they originally changed after the 1st original product. There just is no way for me to know. I still enjoyed good results with it, so I was happy. They came out with a new version in 2010 called Vibe Fruit Sensation. It did absolutely nothing for me yet it was supposed to be the best product they ever had. It tasted better and that was a big plus for many people. I tried it for a couple months and went back to the original version. Not only was I using the product, I had customers that used it. They asked me what version I used so I told them Vibe Original because I got no results with Fruit Sensation. I heard from my customers that tried to place an order with Eniva customer service for Vibe Original and were discouraged. Instead they shoukd try Fruit Sensation, which was the best one to use. It was a little frustrating since I couldn't say if my customer would have good results with Fruit Sensation since I didn't. I didn't want them to waste their money and not get results and give up on trying the product. Around May - June 2012, the Vibe Original stopped working. I continued to use it to make sure it wasn't just a bottle or 2 causing this. I got no results from it and I couldn't believe it. That was enough for me to stop buying it and looking for help with my health needs somewhere else. Since my original expectations and purpose for using this product were no longer being met, there wasn't a reason to continue using the product. In October 2012, Eniva sent out a notice they decided to stop new orders for Vibe Original and people would no longer be able to order it. They also released a new product Vibe Fusion. By this time, I already stopped using and ordering the product. I noticed recently (Feb 2018) that Vibe Original still exists. I'm not sure what happened that they kept this product in addition to the Fruit Sensation. I haven't had any experience or information with their products since 2012 so I don't know where they are at with their products today. Vibe is not used to treat, cure, or diagnose any disorder, disease, or condition. 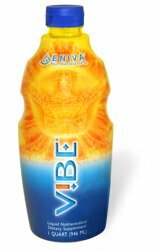 Vibe is trademarked by Eniva Corporation. What Vibe did for my life.